What is protected by listing? Listed building consent may be required for alterations or extensions to a listed building, depending on how they would affect the buildings architectural and historic character. You should speak to one of the Council’s conservation officers for advice on what needs consent. You can make contact here. Listed building protection applies to both external and internal changes. Listed building consent would always be required for demolition. It would also normally be required for extensions and significant alterations. However, it may also be required for minor alterations and even things like paining in some instances. To find out if any works you area proposing would need listed building consent, you should contact the City Council’s Design, Conservation and Archaeology Team. Contact details are here. Works to alter the exterior of a building or to change its use may also need planning permission. The City Council can provide more advice on this. Does listing affect the value of my property? 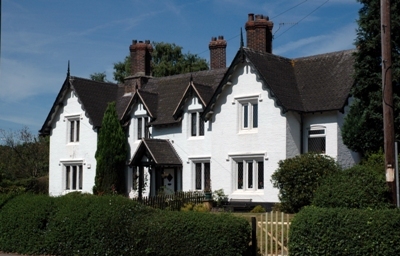 Listed building status can be a positive selling point for houses and is often mentioned in sales particulars. Also, there is some evidence to suggest that well-preserved period properties can attract premium prices. There is little or no evidence of listed building status lowering house prices. Can I paint my property? Painting of woodwork may need listed building consent, but often will not. You should talk to the City Council to discuss this for your particular property. The painting of brick or stone walls would normally need listed building consent. Can I carry out routine repairs? Route works of maintenance carried out using authentic materials and craft techniques on a like-for-like basis normally do not need listed building consent. However, it is important to ensure that any replacements are properly formed and detailed. The selection of a builder with skills and experience of working with historic buildings is advisable. Inappropriate maintenance works can actually cause damage to the fabric of your building. How do I find out if I need planning permission and/or listed building consent for alterations? The City Council can advise you on whether or not your proposed alterations need listed building consent. You can contact the Council here. You may need planning permission in addition to listed building consent, depending on what is proposed. What if my property is also in a conservation area? Listed building consent takes precedence over conservation area controls. Will it cost more to maintain my building? The use of high quality, authentic materials rather than modern substitutes can cost more money. However, preserving a building’s character can help it to retain its value. Also, by repairing a property in an authentic way, you can avoid costly mistakes, like the use of inappropriate paints or mortars, which can stop a property from breathing and cause damp or physical damage.